There’s another Democratic candidates forum coming up — but don’t call it a debate. 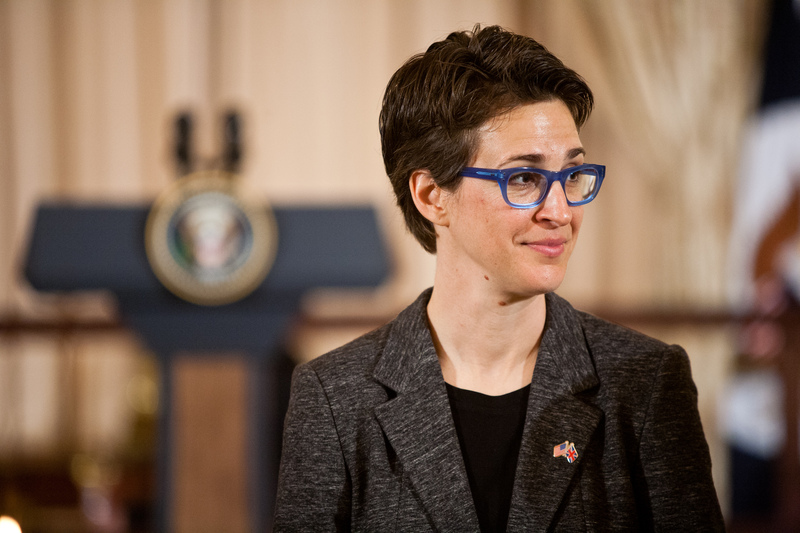 The Rachel Maddow-hosted event will feature Bernie Sanders, Hillary Clinton, and Martin O’Malley, but the three candidates won’t be interacting with one another. Instead, they’ll be interviewed separately in three different segments. While this will result in fewer fireworks and less mudslinging than most debates offer, it will likely still be a worthwhile event — because Rachel Maddow is the perfect Democratic presidential forum host. Maddow doesn’t pretend to be non-ideological. She’s proclaimed herself a “true blue-liberal” on her show. But when she interviews fellow liberals, she doesn’t just toss them softball questions, or, conversely, try to get them to prove how liberal they are. Instead, she forces them to address specific worries that liberal voters have, and that’s precisely the kind of questions that Democratic primary candidates should be asked. Take her recent interview with Clinton. While she certainly didn’t hide her personal admiration for Clinton, she also scrutinized the former secretary of state about one of the a serious concern that some liberals have about her prospective presidency — namely, the team she'll bring to the White House if she wins the election. A lot of the friends that you’ve got that are old Washington hands have really been through the wars with you. And it has hardened them, and turned some of them into really, really aggressive partisans. And that is one thing that I worry about, about the prospect of you becoming president. About Sidney Blumenthal and Glenn Davis and – and Mark Penn and all of these guys that you guys have known and worked with for all this time thinking that they’ve got – they’re back at the table. Because they’re ready to go fight your wars again, and then that means we can’t move on from all the old battles. This is exactly the kind of question that should be asked during a Democratic forum, because it addresses the concerns of the people who will be voting in the Democratic primary. This might sound obvious, but a whole lot of Democratic debate questions ultimately boil down to, “Which of you is the most liberal?” (The opposite, of course, is true of Republican debates). These questions are a waste of time; after all, it’s not very difficult for voters to find out what Clinton’s stated policy stances are. But Maddow, rather than simply challenging Clinton to prove her liberal bona fides, asked her a pointed question that’s exclusive to her as a candidate. It’s a very real concern in liberal circles — a lot of progressives hate Penn and Blumenthal, for a variety of reasons — but it isn’t the kind of thing you can find an answer to with a quick Google search. This type of questioning is common in Maddow’s exchanges with liberals and Democrats, and it's not exclusive to primary season. Back in 2011, she interviewed Ohio Sen. Sherrod Brown, a vocal progressive and rising star in the Democratic party. The topic — Senate procedure — was somewhat dry, but at its heart was a question that many liberals had been agonizing over since President Obama took office. Why does the Senate keep separating off into these gangs? These bipartisan, even-split non-committees, like this gang of six that‘s supposed to be doing work on deficit reduction proposals right now. I mean, Democrats control the Senate. Why do work like this in a 50/50 split with Republicans, instead of just doing it through the normal Senate processes? In other words, why were Senate Democrats, who held the majority in the chamber, letting Republicans have a say in the crafting of policies? There’s certainly an argument to be made that Democrats were right to do this, but at the time, liberal activists were enraged at what they saw as Democrats’ unnecessary capitulation to congressional Republicans. It wasn’t a gotcha question, or a litmus test of Brown’s ideological adherence to the Democratic Party. It was a critical question about Democrats’ leadership strategy. There are obviously limits to one-on-one interviews as opposed to multi-candidate debates, and thankfully, there will be plenty more Democratic candidates forums that feature everyone on stage at once. But there’s also value in having a skilled questioner interrogate the candidates one by one. In the context of a Democratic primary, it would be harder to find a better journalist to do this than Maddow.